Media and communication development have been part of the international agenda for decades. Notably, after the fall of the Berlin Wall media development, that is efforts to promote, support, and nurture an independent, democratic media as part of wider efforts to improve governance, the state of a society, and economic development, media, journalism, and communications program became more mainstream. The efforts of civic groups working on media reform, media development, and Internet rights, have continued the advocacy efforts of previous generations, notably the MacBride Commission and its successors, by calling for global standards and policies aimed at improving the democratic quality of media and the ability for all citizens of the world to access information. In this regard, efforts by global civil society advocating for the inclusion of free expression, access to information, and access to key technologies, in the new United Nations Sustainable Development Goals, stands out. In this context, the continued advocacy of public service broadcasting has for some international players been paramount to their larger efforts, i.e. UNESCO has endorsed public service broadcasting and supports it as a cornerstone of democracy and inclusive knowledge society in non-Western contexts (UNESCO 2014). Yet, as noted by Voltmer (2013), public service media (PSM) all around the world are threatened by commercial competitors and governmental pressures: They need to find new ways to ensure their independence and inclusivity. 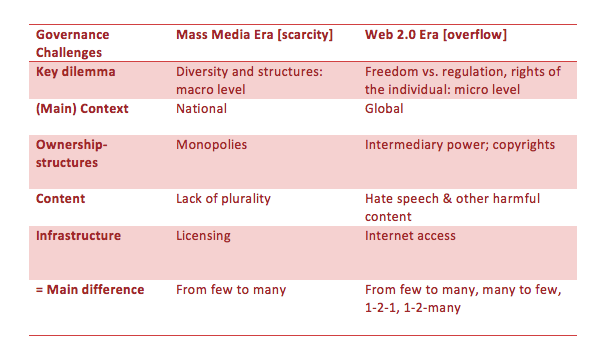 The urgency of finding new strategies is relevant to (1) ‘mature’ PSM organizations in globalizing marketplaces, as well as (2) contexts where state media are being transformed into public service media (e.g., former Eastern Europe, some Asian countries, many Latin American countries), or (3) where public interest media (including PSB, community, and local media) face severe commercial competition and/or need to be revitalized. We will first discuss the need for new models, based on existing country-based analyses (Abbott 2015, Clark & Aufderheide 2009, Tambini 2015), as well as on a survey conducted with 162 public service media researchers around the world. We will then discuss examples and models that in the light of some core proposed revisionist PSM models (e.g., Bajomi-Lazar et al. 2012; Boev & Bukovska 2011). Finally, we will summarize these discussions as a matrix of new models that can be used to frame PSM as a global project. A global look at challenges of public service (and state-administered media) comes from the so-called Mapping Digital Media (MDM) research project of the Open Society Foundations (2009-2014). Comprising 56 countries, the purpose of the project was to assess the global opportunities and risks that are created for media by the following developments: the switch-over from analogue broadcasting to digital broadcasting; growth of new media platforms as sources of news; convergence of traditional broadcasting with telecommunications. MDM has addressed broad PSM-relevant issues—from spectrum allocation to other legislative approaches, audience structures, and financial aspects of national media markets around the world, but it has also dedicated both special reports, as well as a designated section, in each report to the role of publicly owned media in the country in question. Only in Europe are the institutions of independent PSM in a strong position. There, the norm of the mixed broadcasting system may be becoming more prevalent with the incorporation of state-administered broadcasters from Central and Eastern Europe into the conventional PSM model, and regulatory changes such as the Communication on the Application of State Aid Rules to Public Service Broadcasting (2009). In the Middle East and North Africa, PSB independence faces numerous challenges. The absence of the model in the rising powers of Brazil, Russia, and China makes the question of PSB in India and South Africa of great importance in global terms. Yet, the third common global challenge Tambini identifies is the lack of “open and transparent debate” (op cit., 1421) and policy-making regarding public service media and its evolution. The MDM results are echoed by scholars who study public service media around the world. Between January and mid June 2015, 162 scholars answered a questionnaire, the main purpose of which is to establish a roster of PSM scholars. In addition to their contact information, the participants also responded to a few questions about the field and its research needs. Given the prominence of public service broadcasting/media in the media landscapes in Australia, Canada, Western Europe, and New Zealand, it is no surprising that the majority of the respondents come from, and focus these countries/regions — and that naturally affects the kinds of challenges and opportunities identified in the answers. Similarly, it should thus be noted that these answers have not originally been gathered for formal research purposes — but for the purpose of establishing a network. Therefore they are not pre-designed to be categorized and quantified. Presented here are just crude, preliminary thematizations and summaries of responses to two survey questions around challenges and new PSM models. That said, some themes and issues seem to emerge from these observations and insights. In addition, the respondents are scholars who have looked at different aspects of PSB/PSM in great detail. One of the questions in the survey asked the respondents to list the three most significant issues for the development of public service media in their country. 142 out of 162 respondents answered this question – some with one issue, some with two, three or more. The two most often mentioned issues, practically equally important, were the funding of PSM and the independence of PSM from government pressures – both issues were each highlighted by over 40% of the respondents. The urgent need to re-define and clarify the remit, mission, values and visions of what public service really means was almost equally important. 25% of those who answered the question considered a relationship with audiences, a social contract of sorts, a significant issue for public service. 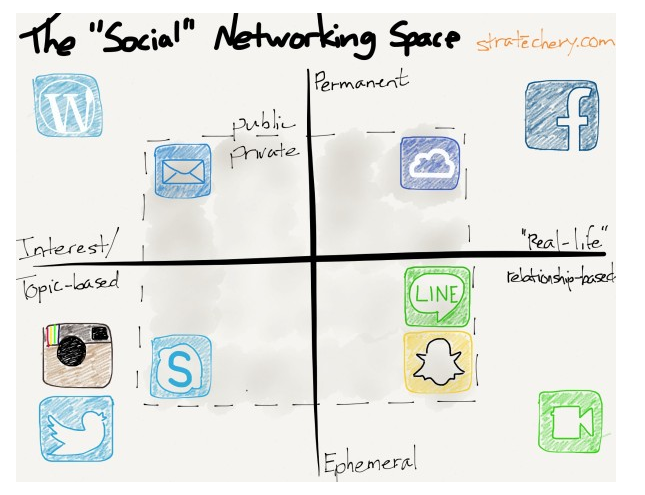 The same goes with digitalization in terms multi-platform, cross-media presence. Other notable themes (appr. 10% each) were: supporting talent, innovation, professionals of PSM; and re-thinking management and organizational structures of PSM. PSM in the international media landscape, PSM and other media (competitors) in general, PSM and diversity/pluralism, and PSM and journalism were mentioned surprisingly seldom, ten or so times each. Another question, relevant to the focus of this paper, pertained to examples of successful public media in one’s country or elsewhere. The respondents were asked to identify one example, and explain why it exemplifies a good public media experience. Only about half of the survey respondents answered this question. Interestingly, the largest amount of answers, almost 30%, highlighted a public service institution, mostly the BBC (UK) or ABC (Australia). One-sixth of the answers highlighted an online service, a digital portal, many of which were not institutional public service but rather projects that served the public outside of a formal PSM remit. Community media (not related to institutional PSB) was mentioned in some 10% of the answers. Digitalization has changed the playfield. That is the fundamental issue to consider. This means that the values of public service media need to be carefully crafted. Fragmented audiences need to be gathered together. The relationship between public service media and the rest of the society needs to be reinforced or reinvented. Institutional public media — when it has the resources — seems to still fare well in serving the public. Funding is clearly the key concern here. Independence of public service media needs to be safeguarded – whether the threat comes from government budgets or political pressures regarding content. Policy discussions around PSM need to opened up and reinstituted. Any new models of public service media clearly need to respond to some main concerns and challenges outlined above. When envisioning models for the increasingly global media landscape, it is good to remember that historical developments have shaped models for public service media – and will continue to do so. Jakubowicz (2014, 213-214), offers a genealogical societal perspective by depicting three main models of the creation of PSB or the transformation of state broadcasting to PSM, as applying to different country contexts. 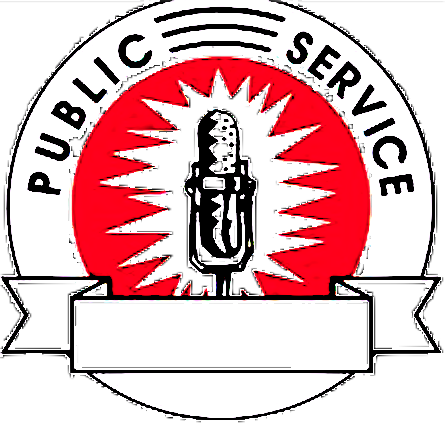 The paternalistic model is based on the idea of public enlightenment, giving PSM a normative role (as in the classic BBC model of public broadcasting); the democratic and emancipatory model emerged when state broadcasting organizations were transformed into PSB in the 1970s and 1980s, when state broadcasting became obsolete as state monopoly (a development in some European as well as non-European countries); and finally, the systemic approach where PSB has been considered a part and parcel of a political change, transition to democracy (as in many former Eastern European countries). These models are now those that need revision, whether in their countries of origins or as models for emerging PSMs. Bajomi-Lazar et al. (2012, 374-375) offer three Institutional revisionist frames to the way PSM should be redesigned in the drastically changed media landscape. The Liberal Approach believes that the role of PSM is to correct market imperfections, i.e., to fill in the gaps in content and services that the free market – the commercial competitors – do not find profitable to offer. This approach is very much synonymous to the Market Failure Perspective (e.g., Berg et al. 2014) on PSM: The role of demand is emphasized and the purpose of PSM is to serve those underserved by the free market. The Radical Democratic Approach, in contrast, focuses on the distinctiveness of PSM in its mission to serve the public interest. This means that PSM should to (continue to) offer news and journalism, music and culture, drama, children’s programming, as well as events that bring the nation together. As a new alternative, Bajomi-Lazar et al. (op cit.) propose an ecological mission for PSM in which public interest media could be reinterpreted, and serve as an ambassador for, ecological, sustainable lifestyles. Very much in line with the ecological mission is the idea that PSM should be based on human rights treaties and legislation, and that it should in particular guard issues related to human rights, both in its content and as an organization (Boev & Bukovska 2011). The treaties would function as legal benchmarks for assessing the core qualities of PSM that, in this model are: a high degree of participation of all interested parties; non-discrimination (including equality and inclusiveness); and the role of PSM as empowering rights holders to claim and exercise their rights. They also include an institutional component, namely accountability (the state should be accountable for its policy in support of PSM while PSM institutions should be fully accountable for their actions). A special feature of the model is that it includes a number of new stakeholders in the work of the PSM: Not only the institution, the national government and regulator, but also audiences play a crucial role in creating and monitoring of PSM. In addition, international human rights bodies as well as communities of human rights activists/advocates are stakeholders here. Perhaps the most radical, networked model of public service media has been offered by Aufderheide & Clark (2009). They note that ‘Public Media 2.0’ (Aufderheide & Clark 2009) will not be tied to an institution but can be both de jure and de facto: a commercial TV channel or a social media group may function as public media equally well as an official institution. 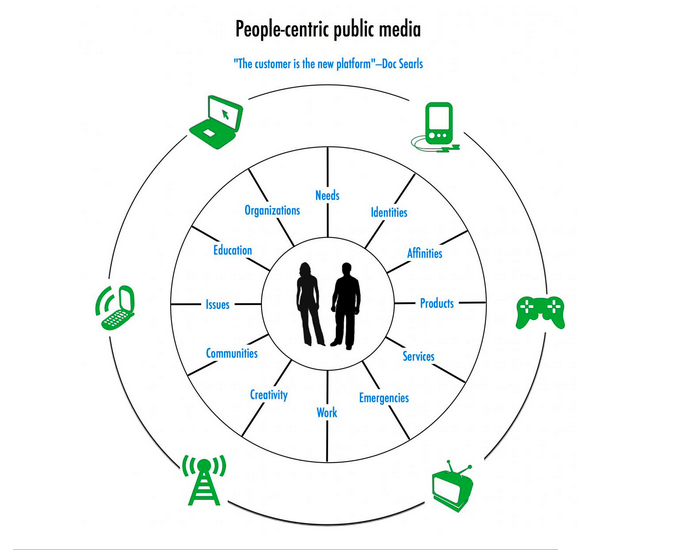 Public media, thus, should be citizen-, or user-centric. Consequently, public media can differ for citizens depending on specific issues, and/or, local, national or international contexts. How do the challenges, and proposed models, meet? 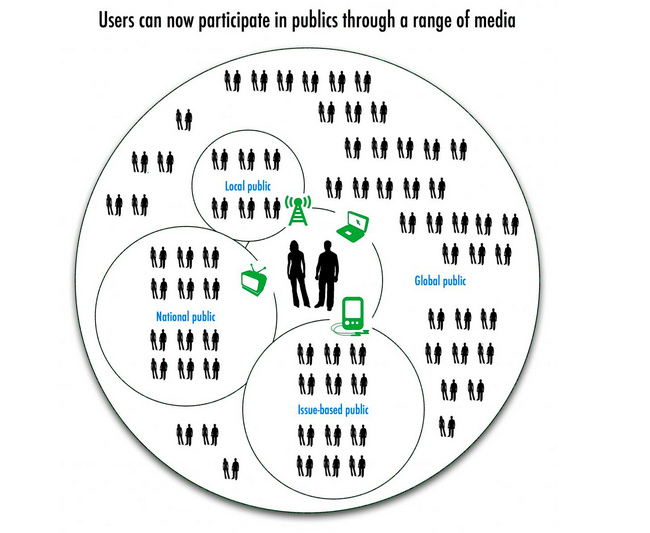 Can there be one or more models that could address public service media as a global project? The following matrix sums up the identified challenges of PSM – and how they are reflected by alternatives. Digitalization – technology Challenged (‘distorts the market’) Must be present in all platforms Possibly – not explicitly mentioned. Possibly: could also support new communication rights, including access. Founded on new tech. Audiences – relationship to society Serves the underserved. Serves everyone. Focuses on the ecosystem, holistic. Focused on the individual = rights-based. Multi-stakeholderism; international Citizen-user –focused. Institutional arrangement – financing Public – no solutions beyond that. Public – no solutions beyond that. Public – no solutions beyond that. Public – implicit possibility of the model: international contributions? Mixed – each “node” of the network with its own model. independence Independent but “filing the gap” mandate might be limited due to political agendas. Independent (in theory). Independent. Independent – multi-stakeholder approach would spread power over governance. Independent – a network is harder to control. These models, alternative as they may be, still very much rely on the core institutional model established in the West. This is not surprising: The idea of public broadcasting/media has been very much founded in the Western idea of the public sphere, related to deliberative democracy (as in civil, reasoned, inclusive debate) — and this “imposes a normative standard that is inappropriate or irrelevant for much of the globe” (Benson 2015, 275). Aufderheide & Clark (2009), with their Public Media 2.0 model, provide a true alternative to the institutional model. As Benson (2015) also notes, a Castellsian “network society” model offers flexibility in (understanding) different contexts. At the same time, empirically a functioning networked public service media model requires ways of fast (and cheap) access to sources, competence to navigate (and to create) content, as well as a robust media ecosystem — and doesn’t address sustainability of its nodes. The social media platform you use for acquiring regional news and participating in related debates shuts down – what then? Alternative non-profit and crowdsourced news outlets may inspire thinking of how funding of public service media might be diversified in certain contexts. WGC is an empirical subcategory of user-generated content, but it transcends UGC’s parameters where they are set by logics of capitalist and state surveillance. WGC highlights issues of social class, collectivity, and needs-based communication; it is a harbinger of new class-making processes that are based on bottom-up and horizontal communication. The most pressing issue is a need for more knowledge sharing about challenges in media development projects associated with public broadcasters or transitions to public broadcasters from state broadcasters. Analyze neglected issues. — In this paper, we have established that we know quite little about existing alternatives, public media de facto, whether in the global North or South. Similarly (albeit not discussed in this paper), drawing from non-Western theorization of globalization and the media might help in reframing of public service media of the future. These are just two of the issues that have not so far been much researched within the public media researcher community. Conduct comparative research. — The MDM project gave an overview of 56 countries — but the section on public service media was one of many. Clearly more regional and global comparisons can shed light on new models and the needs of different contexts. Analyze trans-border, global questions. The MDM research as well as the network questionnaire depicted in this paper has given some indication of possible trans-border issues for public media. This needs to be systematically researched further. Aufderheide, P & Clark, J. 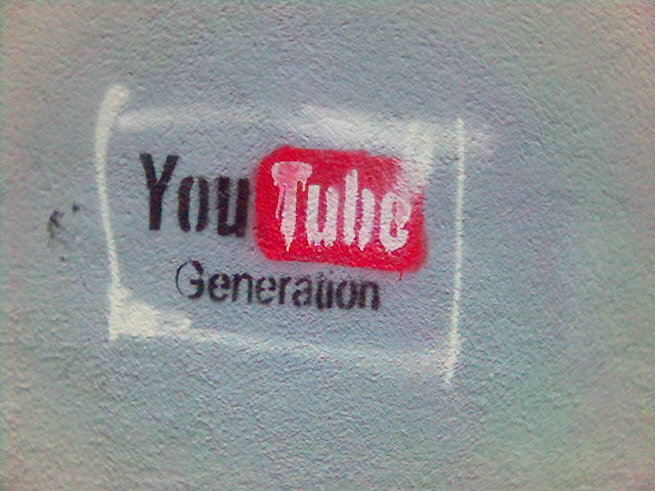 (2009) Public Media 2.0. Dynamic, Engaged Publics. Center for Social Media. Washington, D.C.: American University. Bajomi-Lazar, P., Steka, V. & Sukosd, M. (2012) Public service television in the European Union countries: Old issues, new challenges in the ‘East’ and the ‘West’. In Just, N. & Puppis, M. (eds.) Trends in Communication Policy Research: New Theories, Methods, and Subjects. Bristol: IntellectBooks, pp. 355-380. Berg, C.E., Lowe, G.F., & Lund, A.B. (2014). A Market Failure Perspective on Public Service Media. In Lowe, G.F. & Martin, F. (eds.). The Value of Public Service Media. RIPE/Nordicom. Pp. 105-126. Jakubowicz, K. (2014). Public Service Broadcasting: Product (and Victim?) of Public Policy. In Mansell R. & Raboy, M. (eds.). The Handbook of Global Communication and Media Policy. Wiley-Blackwell, pp. 210-229. Tambini, D. (2015). Five Theses on Public Media and Digitization: From a 56-Country Study. International Journal of Communication 9(2015), pp. 1400–1424. UNESCO (2014) = Free, Independent And Pluralistic Media. The Post-2015 Development Agenda. A Discussion Brief. March 15, 2014. Voltmer, K. (2013) The Media in Transitional Democracies. Cambridge, UK & Malden, MA: Polity Press. Waisboard, S. (2015). De-Westernization and Cosmopolitan Media Studies. In Lee, C-C. (ed.) Internationalizing “International Communication”. Ann Arbor: University of Michigan Press. Pp. 178-200. The respondents do not form a representative sample. The participants have been approached via numerous existing research and media development networks, and they have in turn recommended others. There has been a special effort to find and reach out to non-Western researchers. The first step of the book project: How to conceptualize the dimensions of “Public Media” for Social Change? Initial Thought: Public Media as the 4th Estate? Public media, in its very essence, should represent the people, and various segments of the people, in a variety of way — right? So the ideal and ideal of the 4th estate, the representative of people vis-a-vis decision makers and power elites seems like a fit for a core dimension or characteristics for what might define public media. Supply of information on common issues, and scrutiny of power, it seems to me, are some of the essential factors of social change: what needs to change, how can change happen, by whom? Admittedly, the 4th estate or the watchdog function (in its many forms) is just a part of what public media is, can, should or could be. For example: public service broadcasting, in the Western European tradition, entails the Reithian Trinity of information, education, and entertainment (sometimes referred to as ‘full service’). But (as the above quote highlights) the 4th Estate is an evolving concept. In these times where much of content is a mixture of what used to “news-like” or “entertainment” in content as well as in production and form (just read a few blog posts about gamification of news and education) it seems very limiting to think about the concept of 4th Estate simply as professional, traditional news content. At the same token, the power of the popular culture and entertainment, and the relationship between communication and education, in relation to social change, have been discussed for decades. Whatever the content, at the core of public (interest/service) media seem to be empowerment by access, content — and increasingly, participation and co-creation. Social change, social justice, democracy… Big concepts that, in real life, will need plenty of support, much scrutiny. Add Appadurian global flows that permeate culture and the media, finance, people, technology and ideas. Public media seems like more of an ideal than ever. On thing seems certain: Public service broadcasting (PSB) can’t handle all this alone. Its legitimacy continuously being challenged, by governments and commercial competitors alike (and there’s a vast amount of research on this, especially in the RIPE@ collection by NORDICOM). The main arguments relate to the role of public organizations distorting the market place as “subsidized” legacy and digital competitors. In the light of above, it is perhaps symptomatic that public media de jure has been often offered a specific, limited role, whether from the market failure or the distinction perspective. But how to define that distinction, from the perspective of serving as a support mechanism for democracy and social change? In that regard, how to move from the individual focus (of the above model) to mechanisms that support collective publics of many kinds? A fair assumption would be that different publics may need different content and form/platforms to function as their 4th Estates. They must depend on contextual matters — or issues, location, access… We need public media de facto that can be manifested in many ways. 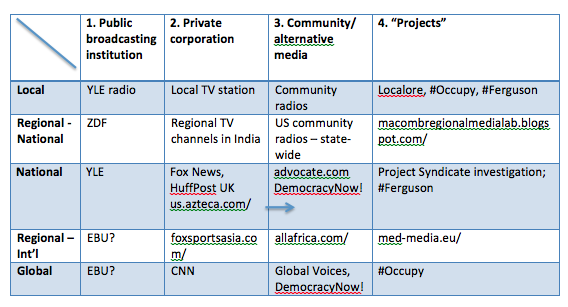 Since we exist in the landscape of existing institutions as well as platforms, and ever globalizing media landscape, I then came up with this simple matrix that combines the geographical dimension with the functional-organizational dimension of a media outlet. The reason I title the latter with the dual meaning is that the function of the organization is very much connected to the form, content, and strategies the organization takes. The Matrix also gives a few examples. They are just that: The matrix would require tons of related research to have empirical backing. Also, some of the examples are deliberately (seemingly) anti-public service. This is in purpose, to highlight the existing landscape and to identify needs and opportunities for new forms of public media de facto. At this point, the matrix is simply a note, a stepping stone. When I look at the above matrix it’s clear to me that many of the its sections are in-between organizational or geographic borders (or fit in several slots). In addition, most of them share same social media platforms. And, as I have already advocated, there’s more room for collaboration. 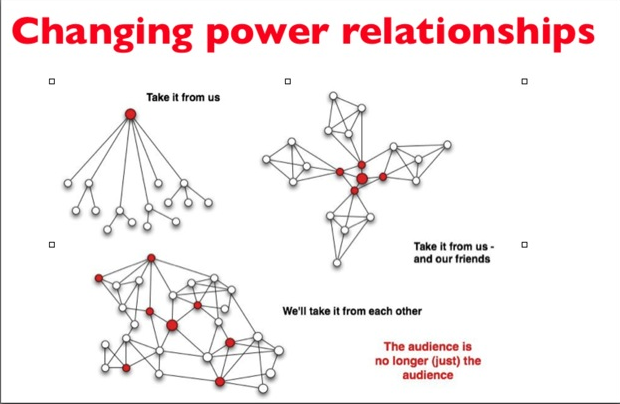 It thus follows that eventually, I want to suggest a public media ecosystem: actors that all serve “the public”, actors that (I propose) are interconnected, and that also could collaborate. In everyday parlance, or at least in the circles of marketing and advertising, the concept of social media ecosystem seems to be commonplace. Here the focus is on how that system captures consumers. The ultimate understanding of the news consumer in the more environmental approaches to news ecosystems is of an organism at the center of a webbed environment of overlapping influences—but a citizen who is sick due to a lack of proper nutritional sustenance. While critiquing the focus on citizens, and calling for understanding of the many processes embedded in journalism to understand its challenges; he also gives a somewhat skeptical description of media ecology‘s focus on technology as the center of the media ecosystem. His argumentation is valid for news production research — but the ultimate challenge for me will be to determine, what the basic parameters are for a lively, diverse and dynamic, organic and healthy model for a public media ecosystem. It will be a fascinating project to find examples of if and how different segments of the media matrix can be merged into an ecosystem, and what roles different actors can play. We know already that in some countries, commercial players have public service obligations, and that many thinkers have positioned PSB at the center of the abundance -=- as public service commissioner/programmer or navigator of public-service-oriented content. One could also argue that the cases of Wikileaks, and Ed Snowden — as controversial as they may be — already point to that direction of projects by semi-structured groups and individuals meeting legacy media nationally and globally. Psychologist Gail Matthews at Dominican University found that you are 42 percent more likely to achieve your goals just by writing them down. “Public Media for Social Change” (working title). The project is, in fact, a part of a bigger effort to rethink access, content, and impact in the new global media/comm tech landscape. As a scholar, I have worked in public broadcasting as well as studied public service media around the world. For almost a decade now, some colleagues and I have been discussing the necessary shift from public media de jure (institutions) to different models of public media de facto. In this new environment, we feel, old institutions can’t respond to the societal challenges alone, or remain sustainable. New networked forms may be to temporary and too niche-focused to grain the kind of traction needed for social change. Yet, at the same time, commercialization of the Net and simultaneous government pressures threaten free expression and necessary knowledge for citizenry. Hence, new models and ideas of collaboration and multistakeholderisms are needed. I aim to collect success stories where institutional meets the situational, old media meets new platforms, different stakeholders collaborate, in the quest for sustainable social change. These are examples beyond social media-fuelled organizing or protests; more about the community-building, citizen-focused inclusive communication that aims to connect people to learn, discuss and debate common issues (the original ideal of public media). I hope these cases, from around the world, will lead to a grounded theory of new models of public media de facto. The manuscript will be ready by late Spring 2016. I’m a member of the RIPE network of public service media professionals (managers, strategists, scholars). Until the 2012, the network focused mainly on Europe and North America. Since its conference in Sydney (@2012), RIPE has begun to make a real effort to globalize public media conversations. The Open Society Foundations have supported that process with some grants. One of the grants projects is a global network of academic and applied researchers working in the field, an initiative I am helping with. This will first be realized as a pilot, a contact repository for people to find like-minded scholars for exchange of information and future projects. 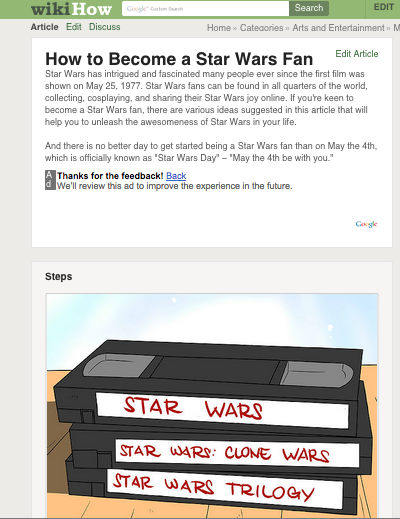 Here’s a newsletter update where we are after a couple of months of network-building. The pilot repository will be completed at the end of this year. After that, we hope to collaborate with others, the EBU included, to extend the repository to all kinds of institutions and organizations, projects, policy-makers, advocacy organizations, etc. 4) Firewall model of conditional effects (authors’ proposed theory), i.e. national cultures are far better insulated from the impact of cosmopolitan communication than previously thought (letting in content/values that is easily acceptable, leaving other things out). What does the above has to do with media governance? Culture defines what is tolerated, accepted, supported. And we have seen clashes: #JesuisCharlie. Jenkins’ chapter highlights what first happened when the mass media logic (and regulation) meets the unleashed creative power of people. Read the readings marked with W3 — access them on Facebook or Blackboard. Join the debate on Blackboard under Assignment Discussions — detailed instructions posted there. Culture (for Shirky, this means the trend dominating online communities: The opening up of knowledge, bypassing old definitions of who is an expert, the collaborative spirit). [T]he nature of participation in the digital age is a complicated matter. For even those groups who have greater access to digital technologies and have mastered the skills to deploy them effectively…our capacity to participate can be complicated by issues of who owns the platforms through which communication occurs and how their agendas shape how those tools can be deployed. And, even if we get our messages through, there is often the question of whether anyone is listening. Scholar-Activist Collaborations The other aspect is: How do we collaborate to support (democratic) media development in today’s comlex media environment? The past decade has seen a notable increase in public interest–oriented civil society activism and advocacy around media-related change. These activities represent a distinctive, developing social movement. These efforts have become a developing point of intersection between scholars and activists. And there are numerous examples, some of them known world-wide: Robert McChesney is the co-founder of Free Press. Lawrence Lessig is the co-founder of Creative Commons. Until lately, the practices of engaged research by academic researchers in collaboration with movement actors has been sparse, and such collaborations have been subjected to relatively little attention. Communications Research in Action: Scholar-Activist Collaborations for a Democratic Public Sphere (a volume is a collection edited by Phil Napoli and myself) highlights the multitude of ways in which scholars can participate as members of the MR movement/s. This (latter) kind of collaboration is needed to promote (the former) opportunities for collaboration and participation to everyone.